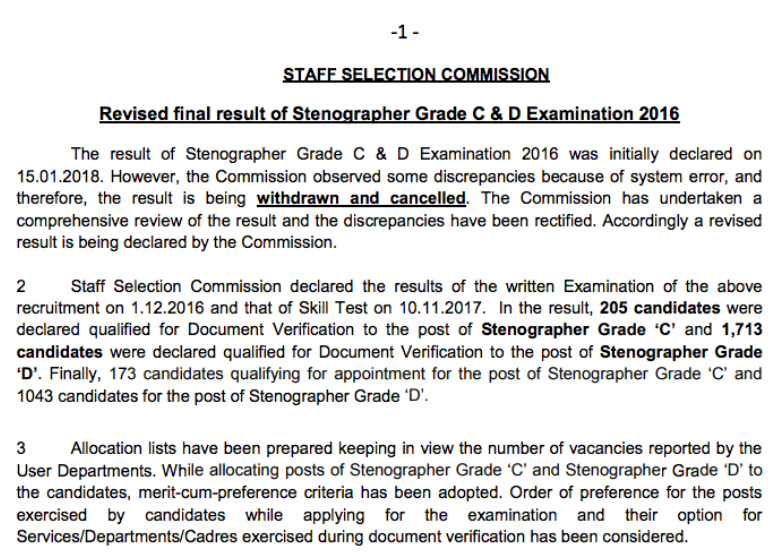 The result of Stenographer Grade C & D Examination 2016 was initially declared on 15.01.2018. However, the Commission observed some discrepancies because of system error, and therefore, the result is being withdrawn and cancelled. The Commission has undertaken a comprehensive review of the result and the discrepancies have been rectified. 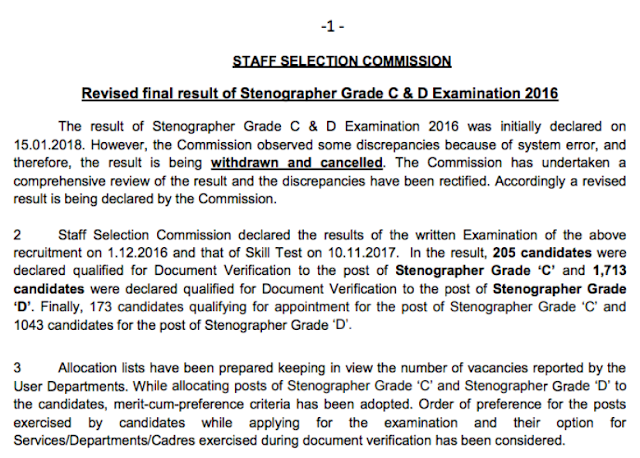 Accordingly a revised result is being declared by the Commission.